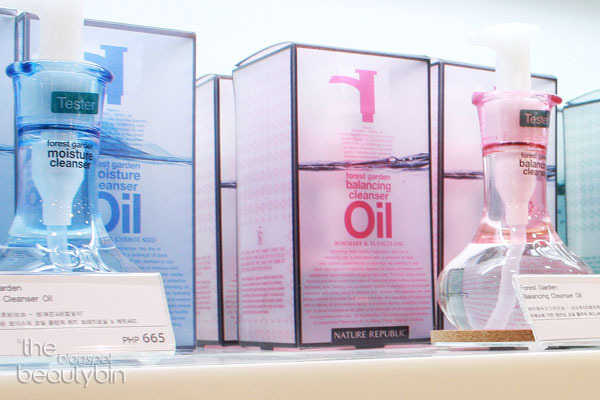 When I was researching for a good alternative to Shu Uemura cleansing oils, Nature Republic's Forest Garden Cleansing Oils caught my fancy as their line up carries a good array of makeup removing oils close to Shu's (feel free to comment below if you know of brands with such variety). Shu's got six variants, Nature Republic has five. 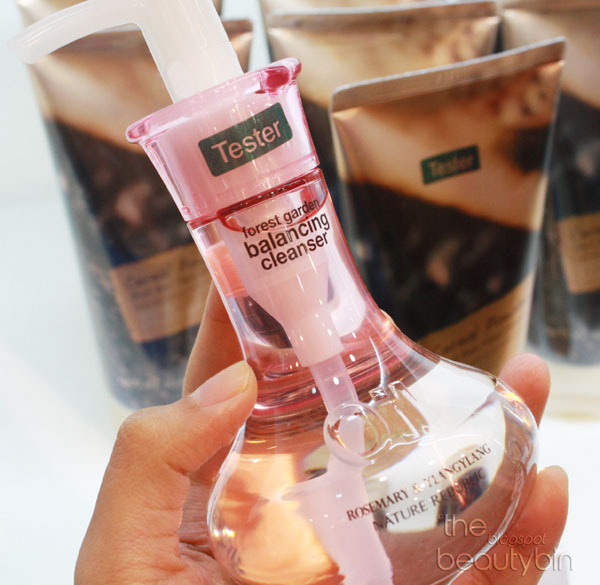 Their "Balancing" cleansing oil may be the best for me as I am drier on the cheeks and oily along the T-zone. The scent is quite overpowering but wasn't anything near unpleasant. And I actually thought 'Balancing' was meant for unbalanced/combination skin, hee! My only question is: why can't I have Balancing, Fresh, Premium and Mild in one bottle? 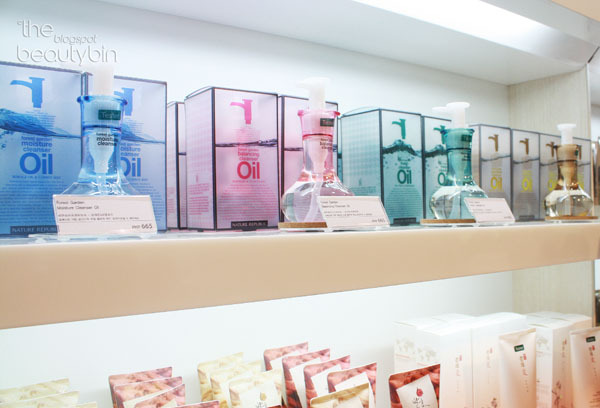 The good old saying holds true in beauty products, too: "You can't have 'em all!". Ho well, the Nature Republic Forest Garden cleansing oils are worth checking out anyway --- great packaging, and from what I've been hearing from people, tough on the most stubborn gunk on the face! I like that selection! It's a shame I can't get it here. Is Nature Republic a Korean brand?